Two events have been scheduled in memory of Betty Morrison Vitousek, former Senior Judge of the Family Court, whose obituary appeared in the Star-Advertiser on August 30. Her funeral service will be held at 2 pm (visitation 1-2 pm) on Saturday, November 18 at the Cathedral of St. Andrew, 229 Queen Emma Square. In addition, the Hawaii Supreme Court is convening a special session in honor of Judge Vitousek at 4 pm on Friday, November 17 in the 2nd floor courtroom of Aliiolani Hale, 417 S. King Street. Members of the public are welcome to attend both events. In lieu of flowers, contributions in memory of Judge Vitousek may be directed to the Legal Aid Society of Hawaii or the Cystic Fibrosis Foundation. Judge Vitousek was born Betty Belle Morrison on March 9, 1919, in Wenatchee, Washington. After serving in the American Red Cross overseas during WW II, she graduated from Stanford Law School in 1948, together with her husband Roy A. Vitousek Jr. of Honolulu. 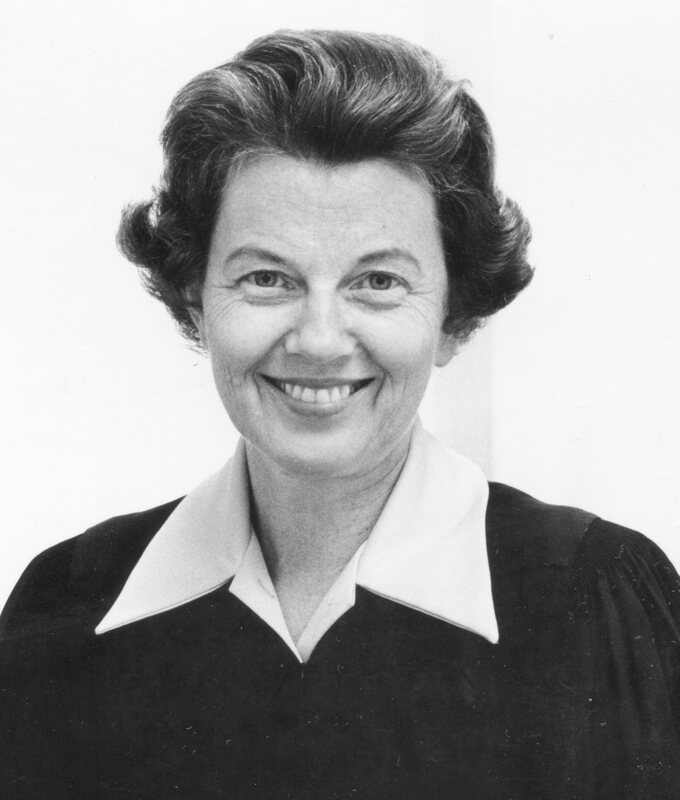 She was appointed to the Circuit Court in 1970, where she served for 18 years, including more than 10 years as Senior Administrative Judge of the Family Court. She was instrumental in creating a model for family court systems across the country, initiating a range of new programs and services to address the needs of Hawaii's children and families. Judge Vitousek received numerous awards for her contributions, including an honorary doctorate in humane letters from the University of Hawaii in 1992. Judge Vitousek died in Honolulu on August 28, 2017, at the age of 98. She was predeceased by husband Roy (Pete) Vitousek, brother Frank Morrison, and sister Raeburn Morrison Hagen. She is survived by two sons, Peter (Pamela Matson) and Roy (Sharon) Vitousek III, and by daughter Kelly (Frederic Manke) Vitousek, as well as six greatly loved grandchildren: Maren (Michael Niemack) Vitousek; Sean (Sylvia), Michael (Katie), and Malia Vitousek; Michael and Liana Vitousek. She is also survived by five great-granddaughters, Linnea Elizabeth Niemack, Juliana Leleua Niemack, Rainey Jane Vitousek, Coral Belle Vitousek, and Merigold Maria Vitousek, and by 13 nieces and nephews.